“On the morning of August the twelfth, eighteen hundred and fifty something” (I just love this opening line), Pell Ridley decides to run away from home. What she's leaving behind is not just her home and family, but also her village, her outlined future, and the only life she’s ever known. One more important detail: the twelfth of August, eighteen hundred and fifty something is Pell’s wedding day. Accompanied by her horse Jack and by her little brother Bean, who sees her when she’s about to leave and silently communicates that he’s coming, too, Pell makes her way to Salisbury Fair, where she hopes to find a job and start a new life. But nothing goes like she had imagined. I loved the fact that The Bride’s Farewell was so focused on gender. I was recently telling someone, either through blog comments or on Twitter, that one of the reasons why I love contemporary books set in the Victorian era is that it’s almost impossible for them not to take a stance on gender politics. The Bride’s Farewell is no exception. The reason why Pell decides to leave everything she’s always known behind is because she's terrified that she'll end up living the sort of life that has crushed her mother: a life with an unpleasant husband, with pregnancy after pregnancy, loss after loss, permanent servitude, premature ageing. Her mother’s example makes her decide that she can never marry. But that doesn’t mean, of course, that she’ll never fall in love. Pell’s goal, then, is to escape a life of limitations and constraints, the kind of life that awaited most women at this time. And if by now you’re thinking, “Oh, this is one of those works of historical fiction with a nauseatingly contemporary protagonist”, I'll tell you not to worry. It could have been one, yes, but the tone was very balanced, and Pell’s discontentment always felt real, and the way she articulated it never felt out of place. And after all, just because a life of domestic slavery was common, we mustn’t assume it was peacefully accepted by all women. I also loved that The Bride’s Farewell explored new possibilities, new ways of living, relationships and living arrangements that were outside the social norms. Pell’s journey is not a lonely one, though initially she means it to be. There’s Jack and Bean, but also there are also people she meets on her journey: Esther, Dogman, and even an actual dog named Dickens. As a young unmarried woman travelling at her own, Pell is the target of a lot of gossip, but she never gives in to the pressure to conform. She's smart, resourceful, and not particularly concerned with what others think. Though only a little over two hundred pages long, The Bride’s Farewell packs a lot. Pell’s journey is an intense one, and in only a few months she experiences emotions to last her a lifetime: discontentment, loss, anger, love, peace. Her story is often a sad one, but that doesn’t mean this is a bleak book. It is, like the rest of Meg Rosoff’s work, mostly bittersweet. I particularly liked the way Pell's story ended. Her decision has some real costs, as difficult decisions often do, but she's not punishing for living by her own rules. I won't spoil it for you with specific details, of course, but here, too, Meg Rosoff achieved a perfect balance. I guess that, if pressed, I’d have to say that The Bride’s Farewell is my least favourite of her books to that, but—well, I’ll spare you the pizza, cheesecake or pie analogies this time and just say that I still enjoyed it a whole lot. It's different from her others, but then again, one of the things I love about Rosoff is her versatility. Though they have thematic similarities, each of her books has a completely unique voice. PS: For some odd reason (I really can’t figure out why—perhaps I read it too fast?) I didn’t mark any passages to share, but you must believe me: the writing is as lovely as always. Honestly, I had never heard of Meg Rosoff before you mentioned her on your blog. I'm always looking out for historical fiction titles to add to my reading list, and this one goes there too. 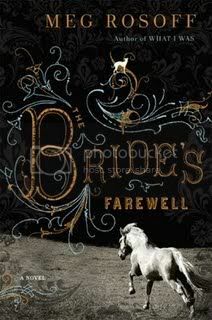 I read The Bride's Farewell during the readathon. I think I would have enjoyed it more if it wasn't Rosoff. I excepted something...I'm torn between saying "something more" and "something different" from her. I love Victorian books, and normally this would sound perfect to me, except I haven't really truly loved any of Meg Rosoff's books. I liked The Way We Live Now a lot, but her other books have just been so-so to me. I think it's her characters - the plots are interesting but I never engage with her characters. How did you find this one compared to the others in that regard? Well, as I hated the writing in How I Live Now, and add to that the fact that I dislike most historical fiction, I'm thinking this isn't a very good Amanda-choice, huh? I've never read Rosoff, but now I want to. If this book isn't her best, which one do you think I should start with? Well you know that this of course this was already on my wish-list after loving What I Was. Ah, I loved What I Was and the way it was written. Hmmm, I don't believe I've heard of this one before, or at least not anything as to what it was about. I do think I'd enjoy this! Of course, as I have How I Live Now on the shelf, I guess that's the logical one to start with. And I know I've said this countless times, but I swear it never ceases to amaze me how much you manage to get read! I read and reviewed this a little while ago and I agreed with a lot of what you were saying, she was pretty unconventional for her time. But the book didn't carry as much of an emotional impact on me as some of Rosoff's other books did. Another gorgeous review! I will keep an eye out for Rosoff's books. When I saw the cover and title, I thought this was a romance and wondered what it was doing on your blog. The book does sound good, even if it's not the author's best work. I wasn't a huge fan of my first Rosoff book, but this one sounds SO good, it'll be the perfect 'second chance' book. I have just picked up How I Live Now and can't wait to read it. I have read a couple of reviews on The Bride's Farewell and a lot of people don't seem to have enjoyed it. You did make it sound more exciting, but as you mentioned it was not your favourite, I wonder whether to read it. I'm glad to see you enjoyed this book. I have read a few not so favorable review. I totally agree with sassymonkey. That's how I feel about this book! Hazra: I really love her stuff - hope you do too! Sassymonkey: I guess she's one of those authors you never know what to expect from! Jenny: It's really hard to say, because each book is so different from the others. It's a short book, so I guess it's worth a try...even if you don't like it, it won't take you long to read :P I actually felt more distant from Pell than I did from her other protagonists, and I only realized why after I posted this: this is a third person narration, while the others were first person. I know there's nothing intrinsically more distant about 3rd person, and that a lot of readers disagree with me on this, but I'm a big fan of 1st person myself. Amanda: lol, I guess not. Kim: My favourite of hers is What I Was. Claire: I did too <3 What I Was will definitely make my top reads of the year list! 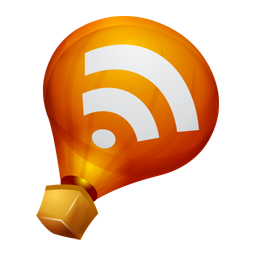 Clover: Thank you for your link! The others did have more of an impact on me, but there was still a lot I loved here. Stephanie, I hope you enjoy them! Eva: I hope you enjoy it. Like I was saying she's pretty versatile, but on the other hand I can see why she wouldn't be for you. Kailana: Sorry it didn't quite work for you! I'm so glad you liked it. I just really appreciate the care Rosoff takes in her writing. I'm about to read Fingersmith (speaking of Victorians) so this reminds me to get off the computer and go read!! I've not read any books by this author but this looks good to me. Even if your least fave and you didn't give us any pizza, cheesecake or pie analogies. That cover is lovely, very classy fantasy. I like what you have to say about contemporary novels set in Victorian times having to take a stance on gender because I love that too and I'm really enjoying that some are coming through that look at mental illness right now, because they challenge Victorian assumptions and modern ones. I picked this up recently, purely because it is Meg Rosoff, I actually know nothing about the book at all! So I havent read your review completely, just in case...I'll hopefully get around to it soon...my reading has been very hit and miss recently. I loved How I Live Now, and it's the only Rosoff I've read so far. Glad to know you liked this one, and I hope to have a look at her others too, since you liked those more. Thanks for the post! The book itself sounds very interesting, but I love that cover. I'd not heard of this book, but judging from your summary, it does sound very unique and unusual. I think I would really like this book and it's protagonist. I don't blame her for not wanting to be a wife and baby factory during that time period, I wouldn't want to either! I am going to grab a copy of this as soon as I can and I'll let you know what I think. Beautiful review! It really is interesting to see the different roles women have played in history and seeing it come to live in a novel can be especially interesting. I had not heard of this book before now (although I am not sure how I missed Diane, Kelly and Amy's reviews! ), but it definitely sounds like an enjoyable read. Thank you for your wonderful review, Nymeth. The first thing I noticed was the beautiful cover.